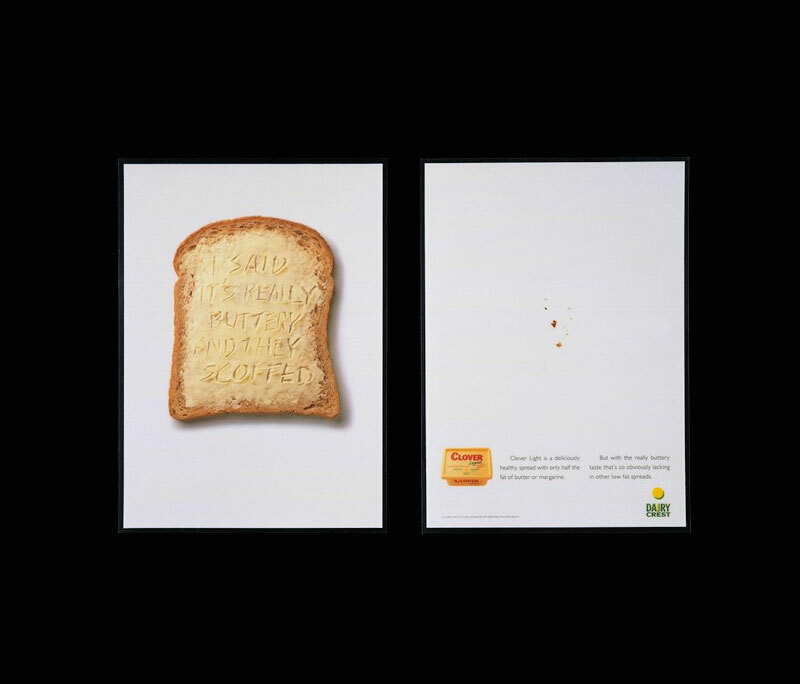 I did this campaign when I was at Young & Rubicam in London, working with art director Paul Pickersgill. 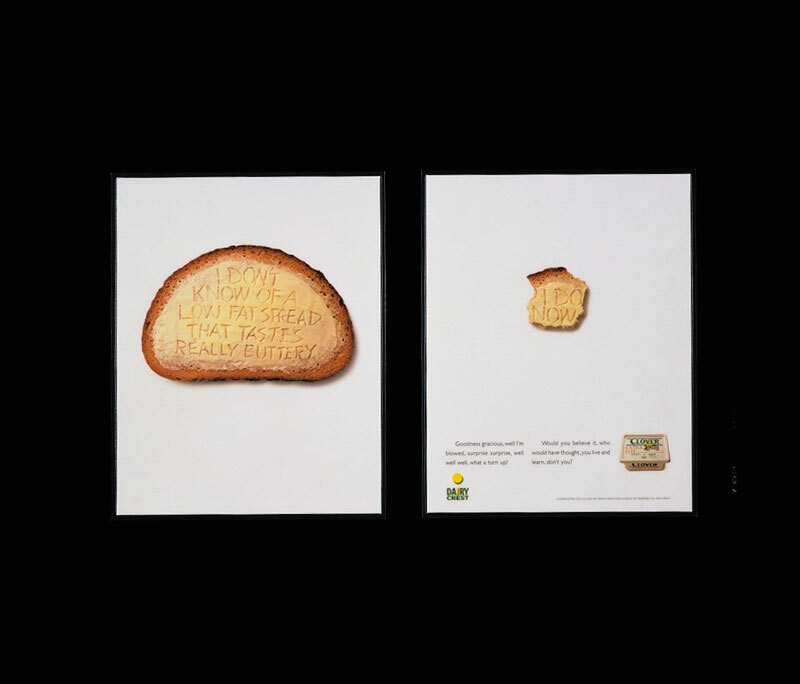 The brief asked us to create a “tastes buttery” story. And insisted that it had to have “taste value” (ie make it look yummy). This was a tough ask because all products in this category were making the same claim (show me one that doesn’t!). And none of them tasted any different from each other. So, getting anyone interested, let alone to believe us, as well as doing it in a way that grabbed the attention, was going to be super difficult – harder than pushing a big glob of the stuff up a steep hill, with a pointy stick, on a hot day (it “spreads straight from the fridge” remember!). We realised the only way to differentiate and motivate was to park the product and stop looking for things that genuinely distinguished it from the rest – there weren’t any. Instead we decided to approach the problem from another angle, one that made consumers feel different about the product. We asked ourselves “what does the customer make of all this buttery stuff?” and we decided they were probably pretty sceptical. So that’s where we started, by acknowledging their feelings – we figured that was a good way to create engagement. 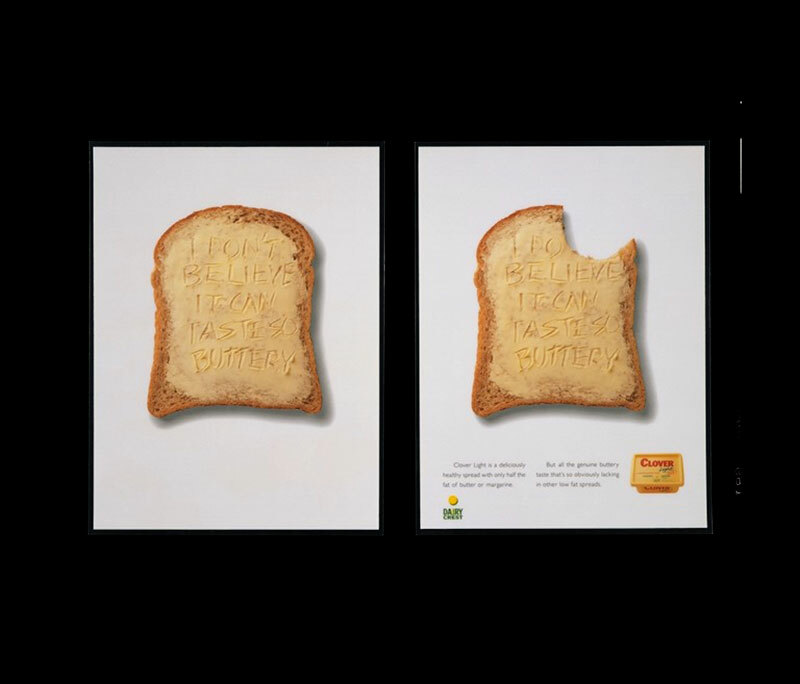 Writing their thoughts in the spread, on the bread, enabled us to empathise with them. It also gave the client the yummy “taste values” they wanted. What’s more, it made a surprising image. 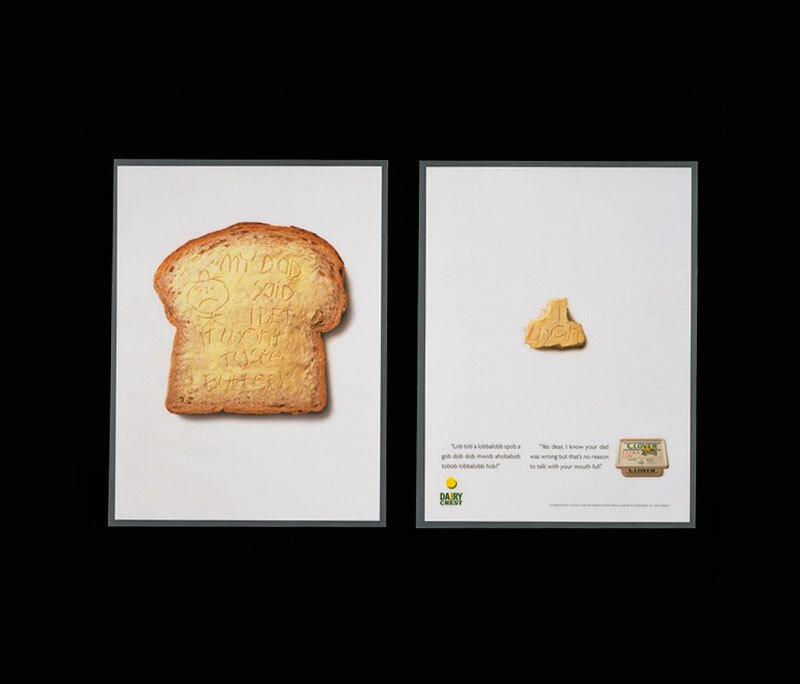 Then, keen tell the story in an unusual way, we came up with the “before” and “after” idea, with the bite changing the message. It was a neat way to say “tasting is believing”, without actually using those words. Spelling that message out ourselves would be crass and clumsy – better to credit the consumer with some intelligence and let them arrive at the thought themselves. If they come up with the words then they’re less likely to argue with them! Next, to give a further twist, instead of taking the traditional route and running the ads as a double page spreads, we split them into two separate pages that we ran consecutively – you saw one, thought “I wonder what that’s all about?” then turned the page to reveal the rest of the story. Finally we had some further fun with the copy, writing it as a commentary from the person eating the product, further articulating their surprise and delight. So, a series of ads that acknowledged the readers scepticism, challenged them to try the product and left them with a smile on their face. And a story that sells – because it neatly combines the elements of differentiation, motivation and exaggeration that we always strive to achieve with our process. These press ads appeared in quality women’s magazines such as Good Housekeeping, Woman and Elle. They were also made into four 10 second TV slots.